It's Day 21 of Reebee's Days of Christmas Contest! Today's featured retailer is JYSK! 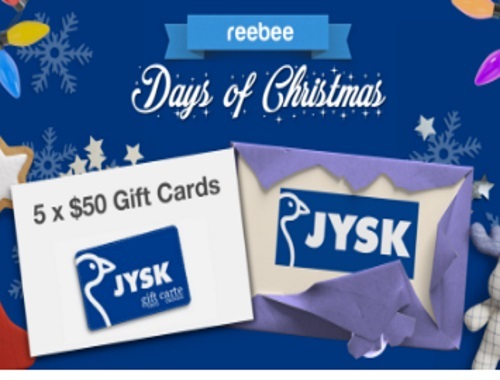 Enter to wi a $50 JYSK gift card! There are 5 up for grabs! Contest is open today only, Sunday, December 18, 2016.